Atorvastatin(10 Mg) Uses Atorvastatin is used to treat patients with elevated cholesterol, triglyceride or lipoprotein levels in blood, and to reduce the risk of heart diseases, even when blood cholesterol is normal. How it works Atorvastatin blocks the action of the enzyme (HMG-CoA reductase) that is required for the production of cholesterol in the body. It thus lowers the level of blood lipids such as cholesterol and triglycerides. Dosage Always follow the instructions of doctor regarding the dosage and duration. Adults: 10-20mg/day. Maximum dosage 80mg/day Primary hypercholesterolemia and combined (mixed) hyperlipidemia: 10 mg to 40 mg once a day. Prevention of cardiovascular disease: 10 mg to 80 mg once daily. Common side effects Allergic reactions, nausea, constipation, indigestion, diarrhea, loss of appetite, dark urine, unexplained muscle pain or weakness, confusion, fever, increased thirst Who should not take Patients who are allergic to atorvastatin or other drug in this group Patients with liver disease. 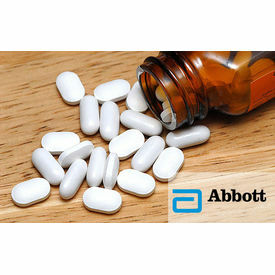 Atorvastatin(10 Mg) Uses Atorvastatin is used to treat patients with elevated cholesterol, triglyceride or lipoprotein levels in blood, and to reduce the risk of heart diseases, even when blood cholesterol is normal. How it works Atorvastatin blocks the action of the enzyme (HMG-CoA reductase) that is required for the production of cholesterol in the body. It thus lowers the level of blood lipids such as cholesterol and triglycerides. Dosage Always follow the instructions of doctor regarding the dosage and duration. Adults: 10-20mg/day. Maximum dosage 80mg/day Primary hypercholesterolemia and combined (mixed) hyperlipidemia: 10 mg to 40 mg once a day. Prevention of cardiovascular disease: 10 mg to 80 mg once daily. Common side effects Allergic reactions, nausea, constipation, indigestion, diarrhea, loss of appetite, dark urine, unexplained muscle pain or weakness, confusion, fever, increased thirst Who should not take Patients who are allergic to atorvastatin or other drug in this group Patients with liver disease.